Every day is a good day to operate on CW, but set some time aside on New Year’s Eve and Day to enjoy Straight Key Night (SKN). The annual event gets under way a 000 UTC on January 1 (New Year’s Eve in US time zones). The 24 hour event is not a contest but a day dedicated to celebrating our CW heritage. Participants are encouraged to get on the air and simply make enjoyable, conversational CW contacts, preferably using a straight (hand) key or a semi-automatic key (bug). Activity traditionally centers on CW segments in the HF bands. There are no points or obligatory exchange. The only requirement is just to have fun! Send your SKN list of stations work and your votes for “Best Fist” and “Most Interesting QSO” by January 31. Concurrent with the ARRL Straight Key Night, AMSAT will hold its own SKN on OSCAR 2015, this year dedicated to the memory of Ben Stevenson, W2BXA, who died in 2011. 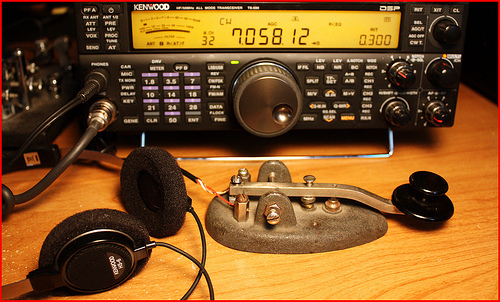 Operate CW through any amateur satellite from on New Year’s Day 2016, using a manual (ie, non-electronic) key. No log is necessary, but AMSAT also asks for “Best Fist” nominees via e-mail to Ray Soifer, W2RS. Stevenson, who was licensed in 1929, was one of the world’s top DXers on HF and satellites and held Satellite DXCC No 1. He was the founding president of the North Jersey DX Association.